The Redmi 5A launched in December 2017 prior to the launch of two other phones from the Redmi Series - the hugely popular Redmi Note 5 and Redmi Note 5 Pro. The Redmi 5A is designed with more subdued aesthetics and is lowered spec-ed than other Redmi series’ handsets. Xiaomi, however, has managed to sell around 5 million units of Redmi 5A. The phone offers a great deal to users interested in buying a phone on a tight budget, but simultaneously time looking for good specs. The device was launched priced at INR 4999. The 5A features a 5-inch screen with an HD display. The screen is laminated and offers options such as Reading Mode to reduce blue light to make for an easier reading experience for the eyes. it offers a standby time of 8 hours with a 3000mAh battery. On the camera front, the phone boasts a 13 MP rear camera with PDAF technology, which helps in faster focusing of objects, along with improved image quality. The front-facing camera is a 5 MP and has features such as selfie countdown and facial recognition. Redmi 5A works on the 64-bit Snapdragon 425 processor, which can support basic games and day-to-day work applications such as Sheets, Docs, and more. It has two variants based on its RAM and the internal storage. One variant has 2 GB RAM with 16GB internal storage and the other one has 3 GB RAM with 32 GB of storage. The overall storage of the phone is expandable up to 128GB by using the microSD card slot. The specs however, are quite dated for a phone in today’s times, and it’d be prudent to sell the device and upgrade to a newer one. 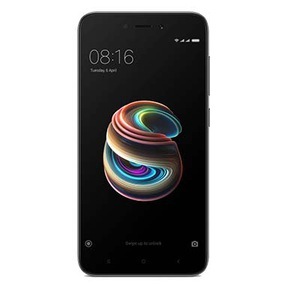 Why Sell Your Old Redmi 5A On Cashify? If you’re looking to sell your used Redmi 5A, Cashify is a convenient option. The entire process - from generating a fair and transparent quote, to doorstep pickups and instant cash payments, is simple and reliable, making your resale easy and trustworthy. 2. Search for the Redmi 5A, and share the condition of your device.